Ms. Hong won the election as KMT Party Chair with 56% of the vote. If a candidate did not get over 50% of the vote, a runoff would be needed. 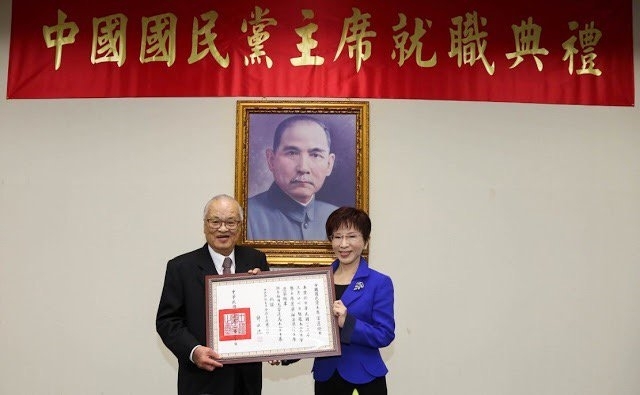 From KMT Chair Ms Hong's candid speech, we see her successful KMT education in yesteryear’s Taiwan, though that ever present White Terror was lurking. KMT Chair Ms. Hong wants to build a shadow cabinet in assisting Legislative Yuan & Parliament; to enable KMT central board & all KMT levels. Note: Both KMT & DPP parties are led by unmarried women, but not the Communist Party. Without analysis based on data, it is very hard for laymen or professionals like CSIS to penetrate the veil of DPP distortion. DPP is a byproduct of US vs. PRC strategy. It is not pro-democracy, but a political gamble. It is destructive to freedom for the most part. How DPP Hides Party Assets In 2012, Tsai Foundation took in 2/3 of the ROC cash allotment for DPP Party when the amount should all have gone to the DPP party. Rude awakening for US when they realize the DPP’s forged party track record is filled with potholes of abusive power & tricky outlaw maneuvering. DPP Chair Tsai colluded with the head of Academia Sinica to do biotech research as rich shareholders via ROC funds & land. DPP, during the Chen Shui-bian era collaborated with the green bone blue skin KMT Legislative Yuan Chairman Wang Jing-ping to tailor the law for the head of Academia Sinica, to allow double nationalities, and to wrestle Sinica's land for private biotech companies, called the 202 Military Research Zone. This is an ecological environmental protection sanctuary, which has egrets flying on the wetland. It was called the "lung of Taipei", because people can breathe there instead of being in high-rise apartments, and Taipei people in the city could roam natural woods. Yet, they forced the 202 zone be relocated elsewhere, it was bulldozed and now only has piles of yellow dirt. Recently during the Tainan earthquake, an apartment building collapsed because of soil liquidation and buried over 50 people. Meanwhile, the head of Sinica lied to President Ma that all is well and is moving ahead in creating Taiwan biotech industry. While the biotech company Haoding without actually conducting breast cancer experiments with a control group, released the failed drug report and crashed the stock from 750 yuan ($25) to 300 yuan ($10). What they did was to borrow the shares to do shorts. Borrow 3000 shares without investing with their own money, then, sold at 750 yuan, after pocketing the cash and paying back 3000 shares, then they in turn bought more at 300 yuan to gain the profits. This sank all small investors. 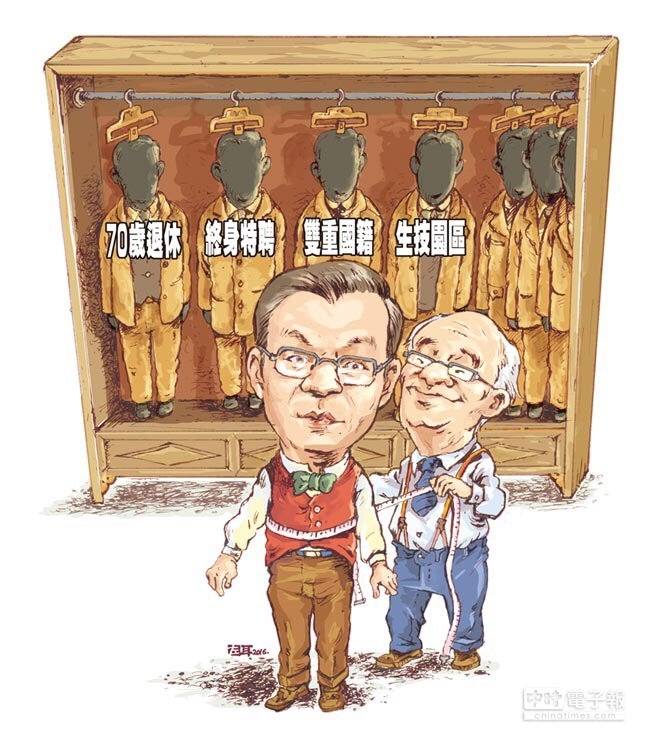 The biotech company has not eked out any product, but uses the country's land, and taps into the Academia Sinica's great reputation and research talents, but all for the profits of a few gangsters in league with DPP Chairman Tsai. Taiwan people, for the most part, are rational & have our own way to expose DPP Tsai evil’s plot in destroying ROC works such as Academia Sinica. Attention: DPP evil plan: On national land & funding to build Biotech Corp with shares distributed to DPP elites, including Ms. Tsai's half-brother. Mr. Wong Chi-hui stays in the US, afraid to go back to Taiwan for legislative inquiries, frightened to implicate DPP Chair Tsai, as her brother is one of the largest shareholders. Mr. Wong's daughter is one of the large shareholders. At national expense, the Biotech company's largest shareholder is Mr. Yin Yan-liang, who is a prefab manufacturer with business in Mainland China, to disable ROC national defense capability, so they were allowed to obtain the 202 Military Research Zone. Academia Sinica's intellectual property is to enable scientific industry research. The head shouldn't own stock shares at public expense. In Taiwan, definition of "transitional justice" is to turn all 1949 KMT newcomers' properties into biased Taiwanese hands, similar to Nazis. Taiwan pay stagnation for 20 years at 22k NT=$700 per month for college graduate is due to DPP policy privatization into several DPP elites.